It’s a performance-enhancing supplement system specifically designed to meet the demands of Beachbody’s world-class workouts. Now, you don’t have to let anything hold you back from getting the results you want. 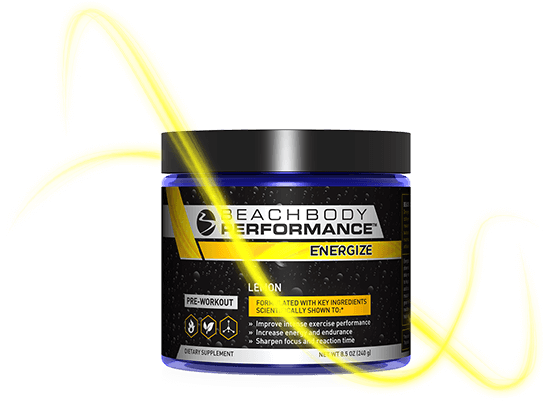 Beachbody Performance helps you overcome your fitness obstacles, whether it’s low energy, lack of focus, dehydration, exercise-induced muscle soreness, slow recovery, or poor workout performance. With Beachbody Performance, you can push yourself harder and last longer, which means you can get better results from your workouts—faster. WHAT MAKES BEACHBODY PERFORMANCE THE BEST? Beachbody is committed to getting results. So when we set out to create workout supplements, we knew they had to outperform anything else on the market. Just as we revolutionized superfood nutrition with Shakeology, we are determined to revolutionize your workout performance—and help you get the best health and fitness transformation of your life. 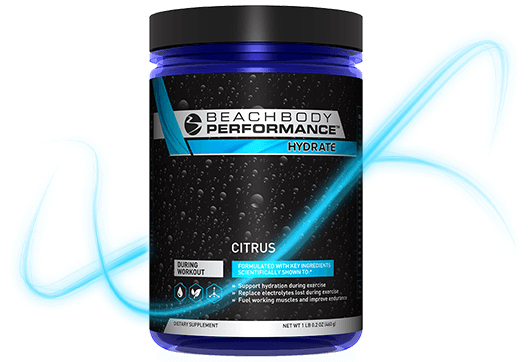 Beachbody Performance is the best because it’s: • Developed by Harvard-trained scientists using cutting-edge sports science and nutrition research. • Formulated with ingredients at clinically effective levels scientifically shown to make a difference in energy, focus, stamina, strength, and recovery. • No gimmicky ingredients without proof that they work. 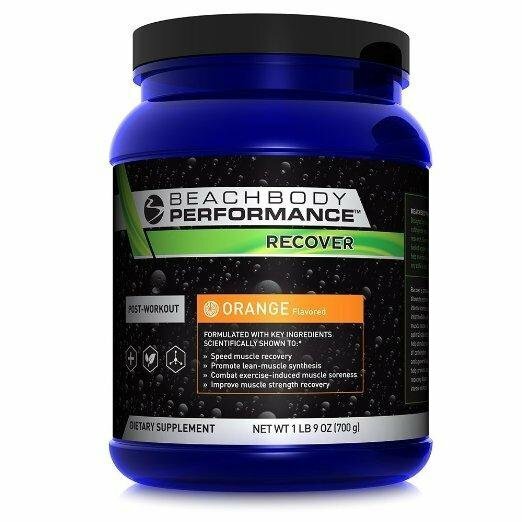 Beachbody Performance is backed by evidence-based ingredients shown to help improve performance and recovery. • No artificial colors, flavors, sweeteners, or preservatives. The entire line of Performance can be purchased bundled together or individually so you can customize your fitness goals and results. Sharpen focus and reaction time. KEY INGREDIENTS: BENEFITS:* Beta-alanine An amino acid that helps buffer lactic acid buildup to improve performance and delay exercise-induced muscle fatigue. Low-dose caffeine (from green tea) Low-dose caffeine has been shown to be ergogenic, which means it enhances performance, improves reaction time and focus, and reduces exercise-induced fatigue. Studies show that it can give you both a mental and physical boost. Quercetin A plant-based nutrient and powerful performance enhancer, shown to improve endurance and delay exercise-induced muscle fatigue. HOW TO USE ENERGIZE PRE-WORKOUT FORMULA Simply mix with water according to the label instructions, and drink within 30 minutes before you begin exercising. Important notes about ENERGIZE: • The vibrant yellow color of Energize comes naturally from quercetin, a phytonutrient found in many fruits and vegetables. A strong yellow color indicates higher levels and higher purity. Our quercetin is the best in the industry, so it’s brighter than other products that contain inferior quality or lower levels of quercetin. This color is natural; there’s nothing artificial about it! • Energize contains beta-alanine, which can create a mild tingling or itching sensation on the skin for some people. This response is perfectly normal and is not cause for alarm. Most people don’t notice it once they start working out, and with continued use the sensation gradually subsides. Even mild dehydration can cause a dramatic reduction in power performance. Typical sports drinks have too much sugar and artificial ingredients that can dehydrate you. And water alone doesn’t effectively hydrate during exercise or replace what you lose through sweat. Hydrate gives you an ideal balance of carbohydrates, water, and electrolytes in an optimal concentration for better absorption. HOW TO USE HYDRATE DURING-WORKOUT FORMULA : Simply mix with water according to the label instructions, and drink during exercise. When you’re too sore from your workouts, it’s much harder to be consistent with your program. Recover takes advantage of the critical post-workout window to help combat exercise-induced muscle soreness, speed muscle recovery, support muscle growth, and improve strength recovery. KEY INGREDIENTS: BENEFITS: Pomegranate extract This powerful ellagitannin-rich extract is scientifically shown to promote faster muscle recovery while helping to manage exercise-induced muscle soreness. It’s a recovery-enhancing ingredient that helps muscle strength recovery, especially after intense workouts. 20 grams of time-released protein Fast-, intermediate-, and slow-release proteins ensure a sustained supply of nutrients to improve muscle recovery and promote muscle growth. Branched-chain amino acids (BCAAs) An ideal 2:1:1 ratio of leucine, isoleucine, and valine, branched-chain amino acids that are unique for their ability to help promote muscle synthesis and support rebuilding. HOW TO USE RECOVER POST-WORKOUT FORMULA Simply mix with water according to the label instructions, and drink within 30 minutes after exercise. Recharge is specially formulated with key ingredients to help accelerate recovery, combat exercise-induced muscle soreness, and promote new muscle growth while you sleep. Its ingredients have been shown to boost your body’s ability to fight off delayed onset muscle soreness (DOMS) and promote lean-muscle growth. KEY INGREDIENTS: BENEFITS: Tart cherry This anthocyanin-rich tart cherry extract is shown to help reduce exercise-induced muscle soreness and improve recovery after intense exercise, both for endurance and resistance training. Anthocyanins are phytonutrients being investigated as a natural alternative to anti-inflammatory NSAIDs (like ibuprofen) in athletic recovery situations. 20 grams of slow-release micellar casein protein This slow-release protein is shown to help boost overnight recovery by promoting muscle synthesis and helping reduce muscle breakdown. It provides hours of muscle recovery support and repair for hardworking muscles. Branched-chain amino acids (BCAAs) An ideal 2:1:1 ratio of leucine, isoleucine, and valine, branched-chain amino acids are unique in their ability to help promote muscle synthesis and support rebuilding. HOW TO USE RECHARGE NIGHTTIME RECOVERY FORMULA Simply mix with water according to the label instructions, and drink within 1 hour of going to sleep. A note about RECHARGE: • This high-protein, delicious-tasting formula can help satisfy those late-night munchies. 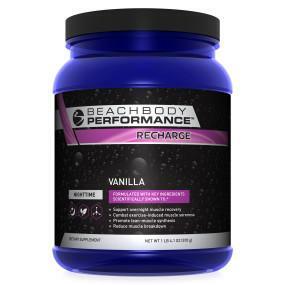 RECHARGE tastes great and is better for you than vanilla ice cream! Whether you’re looking to pack on extra muscle or push intense exercise to the max, Creatine can help you get there. Creatine monohydrate is one of the most scientifically effective ingredients to help boost strength and power, improve high-intensity performance, and enhance the effects of resistance training. KEY INGREDIENT: BENEFIT: Pure Creatine monohydrate Scientifically shown to help boost muscle strength, power, and high-intensity performance. Creatine monohydrate is the purest, safest, and most effective form of creatine in the world. 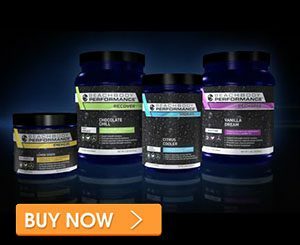 HOW TO USE CREATINE Simply mix Creatine with prepared Beachbody Performance Recover Formula or juice according to the label instructions, and drink within 30 minutes after exercise.